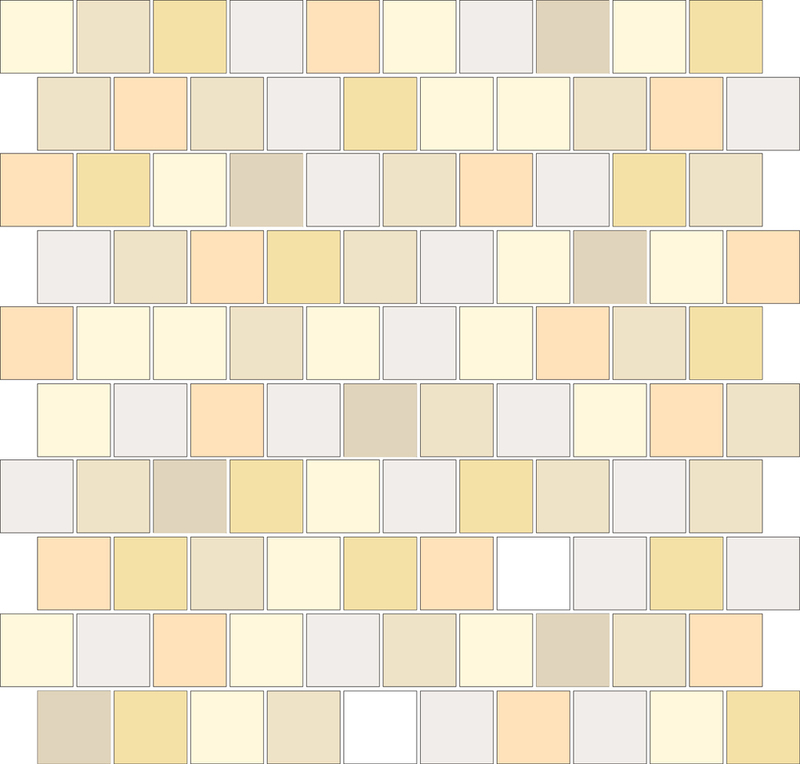 Tile Sizes: 1"x1", 1"x2", 1"x3" and 2"x2"
Colors: Multicolor-Random mosaics start at 3 colors and can go up to 9 different colors. Please specify number of colors, color name and percentage of each color to be used per sheet. The following formats and layouts are available for the Multicolor-Random mosaics. To see all the colors available per texture for this item go to Pedralbes Terracotta Colors page. To see ALL 2 Color Combinations, go to 2 Color Combinations in 1 Texture page, or to 2 Color Combinations in 2 Textures page. FIND your 2 Color Combination: To FILTER all possible combinations within 1 color and texture, go to Find Your 2 Color Combination page.